Salar Jung Museum is your portal to the lavish Nizami era in Hyderabad. Showcasing one man’s collection of over 35 years, the museum has collectibles from all across the world, dating back to the first century. Located in Darulshifa, the Salar Jung Museum is a magnificent Saracenic building with splendid domes. It displays the extraordinary collection of Salar Jung III, the former Prime Minister of the last Nizam of Hyderabad. This global collection has sculptures, paintings, carpets, clocks, manuscripts, furniture, and more artefacts making it one of the largest museums in the world. These artefacts have been collected from countries like Japan, China, Burma, Nepal, India, North America, Persia, Egypt, as well as from across Europe and North America. Some of the rarest pieces here include a fascinating marble statue of Veiled Rebecca acquired from Rome, a dagger and fruit knife made in jade and studded with invaluable stones which apparently belonged to Jehangir and Noor Jahan respectively, a plethora of miniature paintings, and manuscripts like Lilawati and Shah-nama. We are taken by the double statue which is carved out of a single log of wood and has two distinct images on either side (An artistic wonder you cannot miss) and the ever-popular musical clock that gets the kiddies (and us) excited all the time. 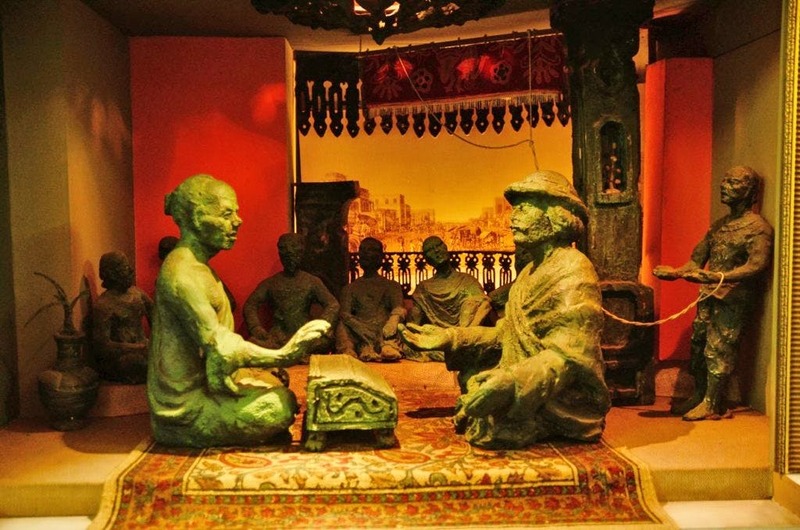 The museum also conducts exhibits and workshops in collaboration with international museums and organisations. It also has a library and often publishes books, brochures and research journals, from time to time. On special occasions like the birthday of Salar Jung or Museum Week, they organise seminars and fun activities.